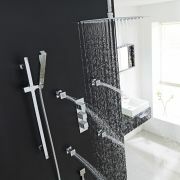 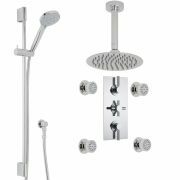 Deliver a touch of elegant class to your bathroom with this beautiful Hudson Reed thermostatic shower system. 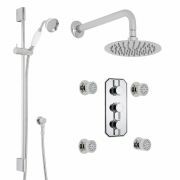 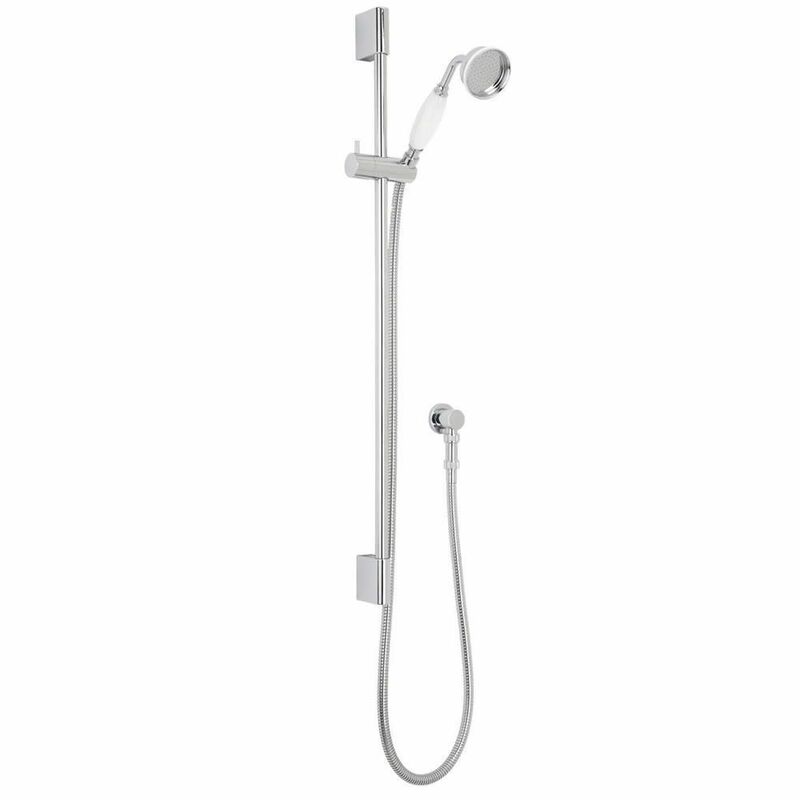 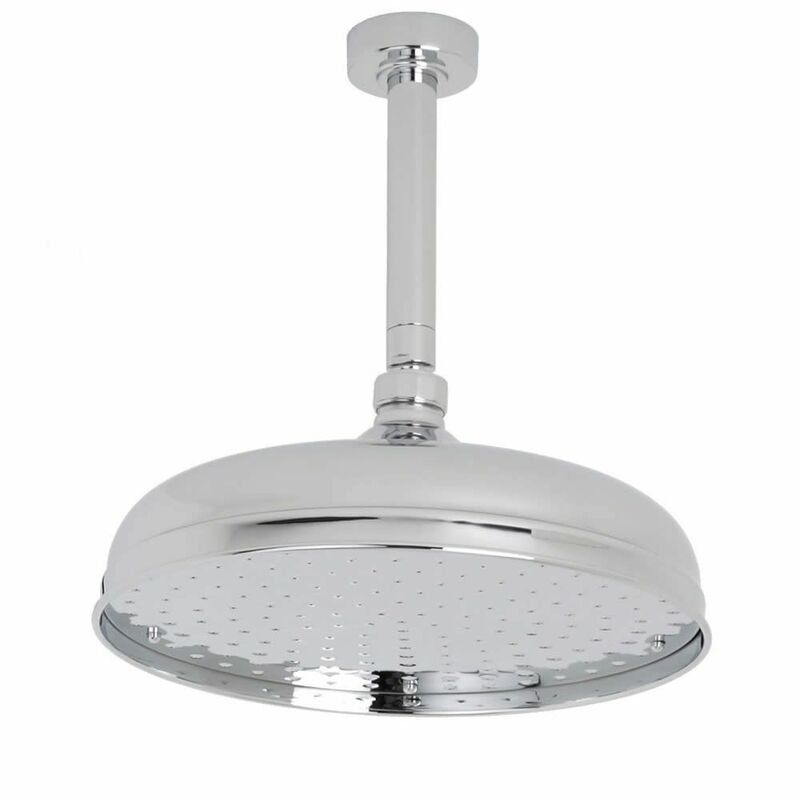 Featuring a top quality construction, the system consists of a 12” apron shower head with arm, a slide rail kit and handset, a hose and outlet elbow, in addition to shut-off valves and four body jets. 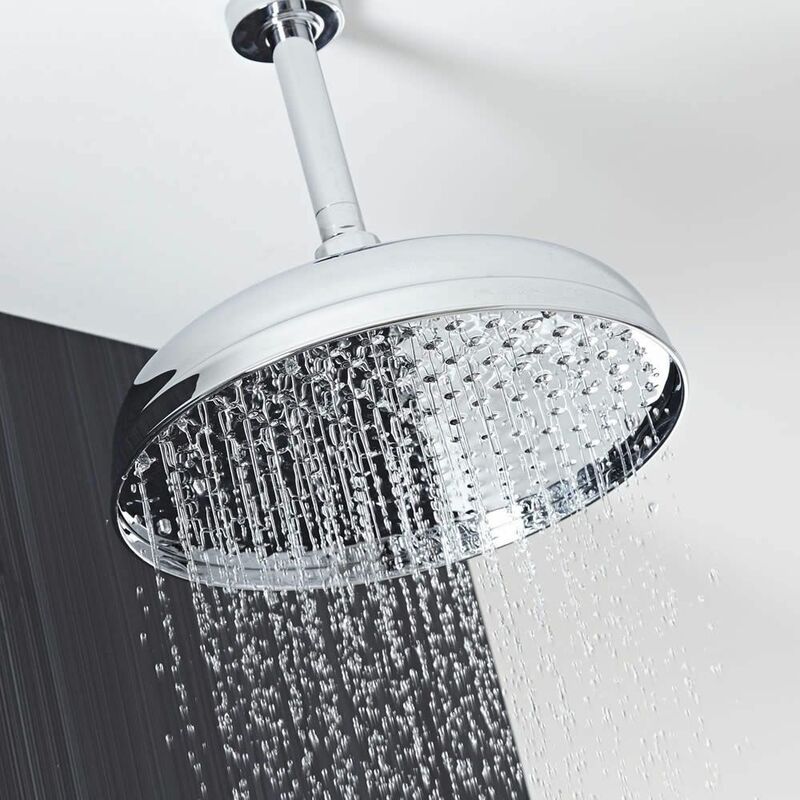 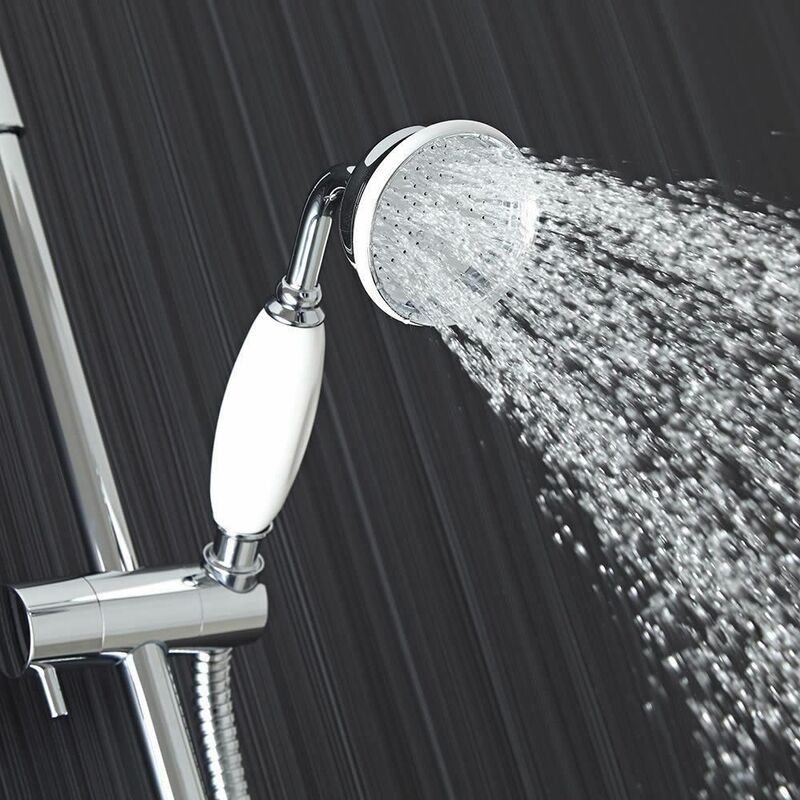 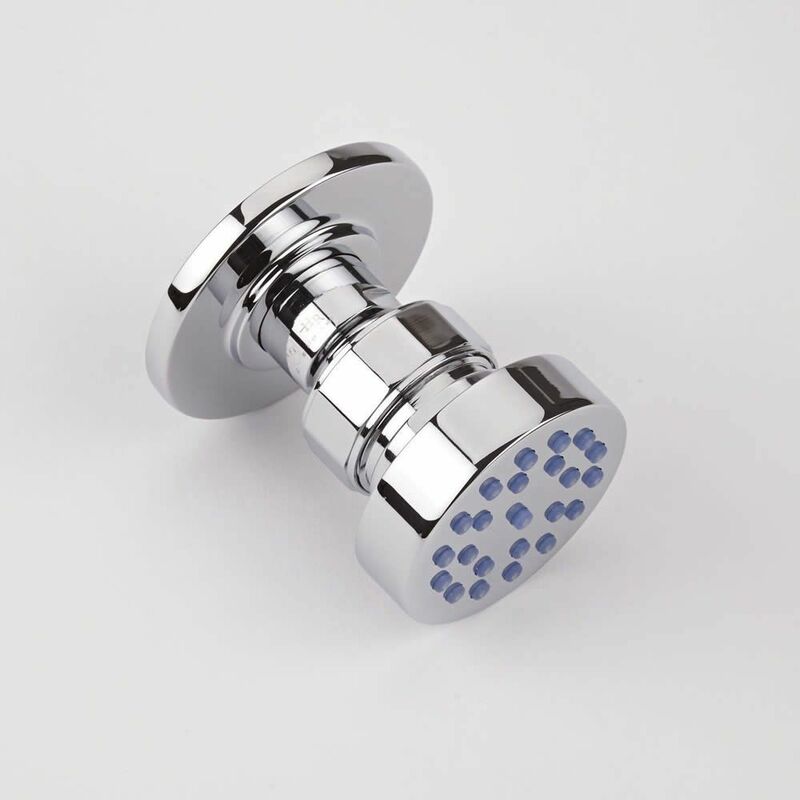 Manufactured in Great Britain, the shut-off valves make use of anti-scald technology to guarantee a safer showering experience. 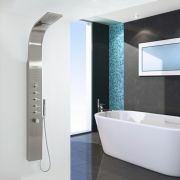 Supplying water at a pre-set maximum temperature, they enable the user to enjoy multiple outlets at any one time.